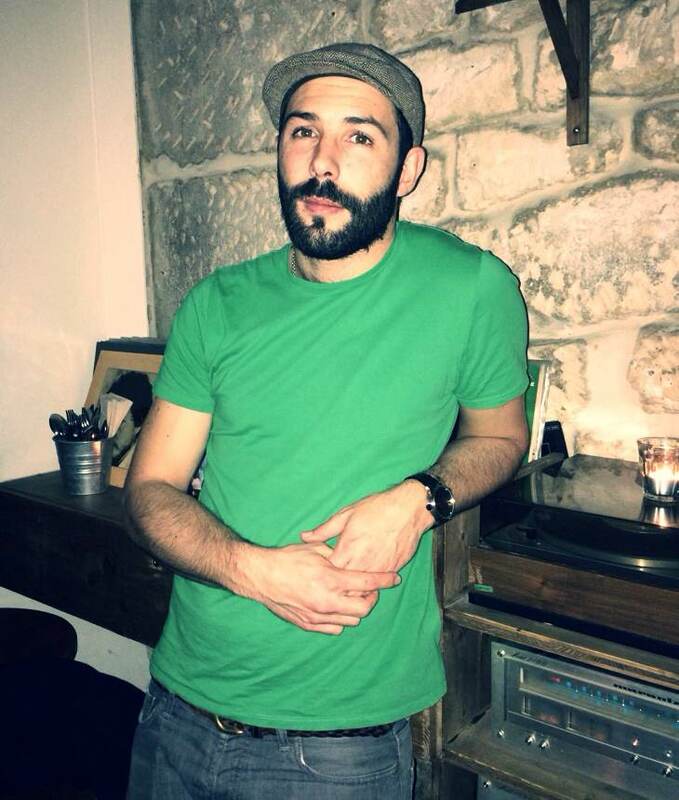 Hi I’m Michael, and I work at Le Mary Celeste, Paris. I have been a bartender for the last 10 years. I wanted to have a job that involved creativity, connecting with people and not being stuck behind a desk. I was attracted by the hospitality industry and I had to make a choice between cooking and bartending, but the kitchen does not allow you the interaction with customers, so in the end, it was an easy choice for me. At the same time I watched a documentary about the Club 21 in New York, a legendary bar from the prohibition era, where they used the mechanism of a rotating shelf. An old guy was explaining how long it took him to become a bartender, get the experience to be behind the bar there and make great cocktails. I loved that documentary, so the objective was to become a bartender because of those two things. Focussing on cocktails came later. In the beginning it was more about being a bartender and not necessarily specialising in cocktails. But with the time, meeting people who trained me, particularly at the Park Hyatt Vendôme with Yann and Alexandre who really showed me what you can do with cocktails, different methods and ways to have fun with them, that gave me the desire to dig further. It’s thanks to them. What I like would be a place where all the drinks are quality drinks. Not only cocktails, but also beer, wine and soft drinks with affordable prices and all the options for people who really want premium products… but essentially a bar open to anyone. Music is important too, a bar with a stage like an old school jazz club but modern in style, that would be a good mix. The music style would be the stuff I grew up with as well as the latest tracks. When I party it’s more about my mood. Currently I go to a lot of wine bars because I am more and more focussed on wine and where I live I am surrounded by them, so it’s easy. But most of the time it’s more about seeing bartender friends than going for the bar itself, so I know I’ll be welcomed well and the cocktails will be good too. In the beginning it was rum, because of the large choices of flavours related to the density and consistency of the product. It’s easy to mix and making cocktails with it is easy. Now, it’s more about wine, vermouth or sherry. I think it gives another dimension to a cocktail more than the spirit itself. All these products which are fermented and change a little bit during the maturation give the cocktail a complexity, a length and a foundation that spirits can’t give. Good products, mean quality, they don’t have to be expensive or rare. The next thing is a good mix, well balanced and simple. It’s about originality, the story around the cocktail is important and a nice bartender to spend a good time with. I love amaro, but recently I worked with mustard seeds and vinegar. I loved this cooking side and pickling or vinegar is interesting in a cocktail. I need to dig further, but I like the flavours so that’s why I want to highlight them. Micka at Maria Loca, someone who is imaginative and has always has a lot of things to talk about.